Hand your card to a team member, and earn 10 points for every 1 pound spent. 1000 points will earn you £10 to spend at the Shop or Pudmobile. You'll also receive our news, weekly pudding specials and deals. 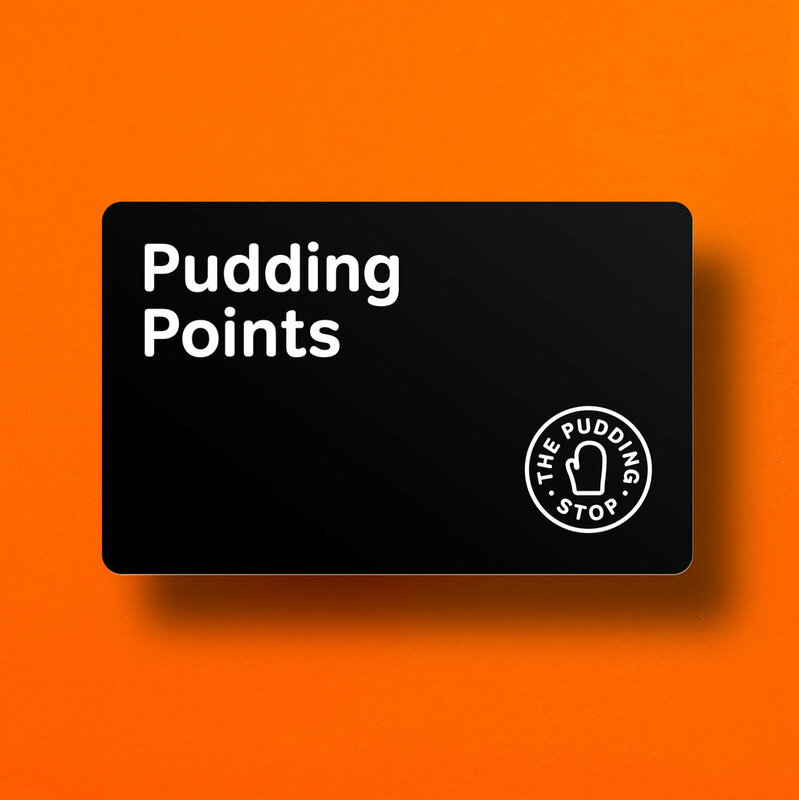 Thank you for registering your Pudding Card. You card will be ready to use in our shop or Penelope within 48 hours. Still have your old loyalty card? Simply send us a photo of your Old Loyalty Card plus your New Loyalty Card ID to earn 50 points for every stamp!